Ending months of deadlock, External Affairs Minister Sushma Swaraj today in Islamabad announced the resumption of a comprehensive dialogue between India and Pakistan that will include peace and security, Jammu and Kashmir and Siachen. 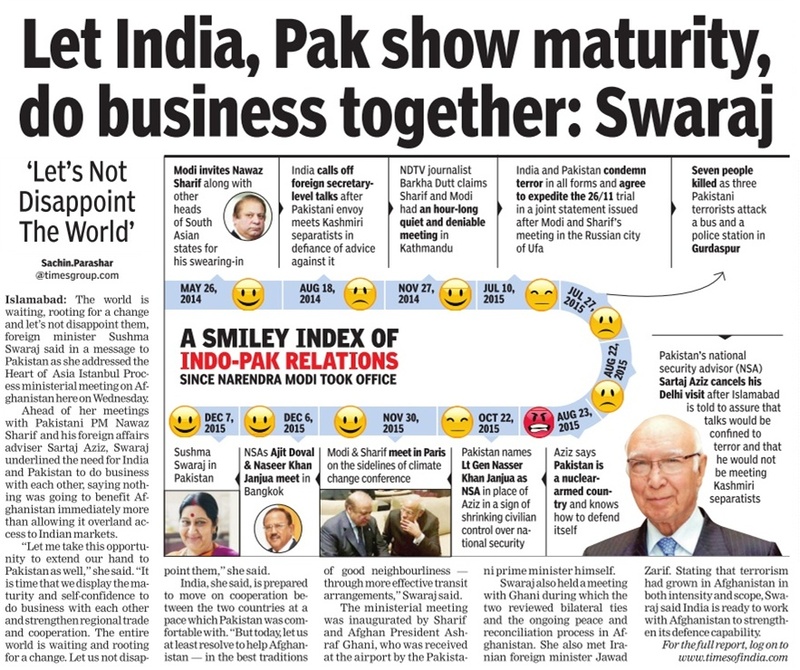 In a joint statement issued after Swaraj met Sartaj Aziz, Adviser to the Pakistan PM on Foreign Affairs, both sides condemned terrorism and resolved to cooperate for eliminating it. Addressing the media after the meeting, Swaraj announced that the Foreign Secretaries of the two countries would meet and discuss the modalities to hold the comprehensive bilateral dialogue. 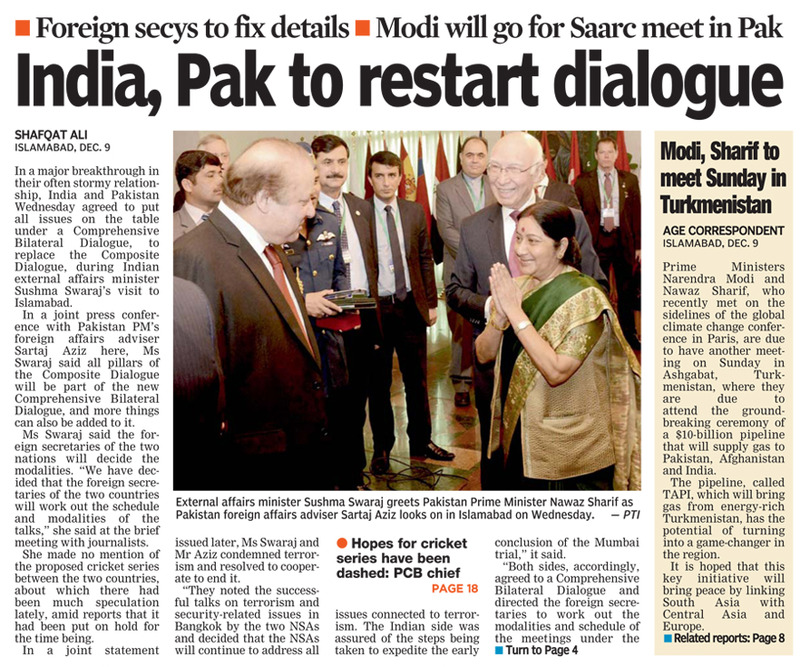 “India and Pakistan have decided to restart the composite dialogue. 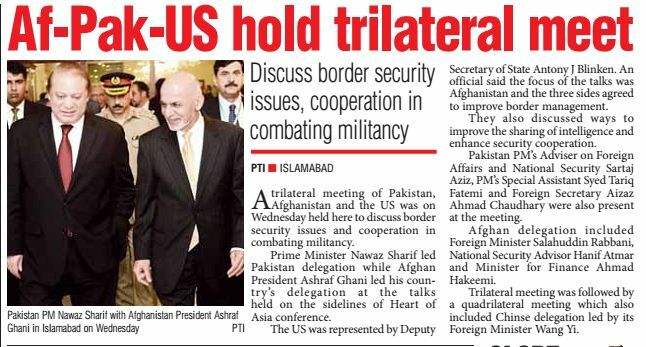 It will now be called comprehensive bilateral dialogue. It will include all issues from composite dialogue and much more,” she said. The two leaders noted the successful talks on terrorism and security-related issues in Bangkok by the two NSAs and decided that the NSAs would continue to address all issues related to terrorism. Pakistan has assured India of “steps to expedite the early conclusion” of the Mumbai attack trial, something that India has been pressing for long. Both sides decided to ask the Foreign Secretaries to work out the modalities and schedule of the meetings under the dialogue, including peace and security, confidence-building measures, Jammu and Kashmir, Siachen, Sir Creek, Wullar Barrage/Tulbul Navigation Project, economic and commercial cooperation, counter-terrorism, narcotics control, humanitarian issues, people-to-people exchanges and religious tourism. 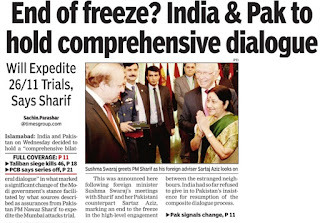 Earlier today, Swaraj called on Prime Minister Nawaz Sharif. 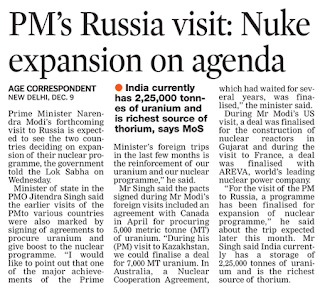 Their hour-long meeting centred on improving bilateral ties and removing the irritants that have dogged the relation. 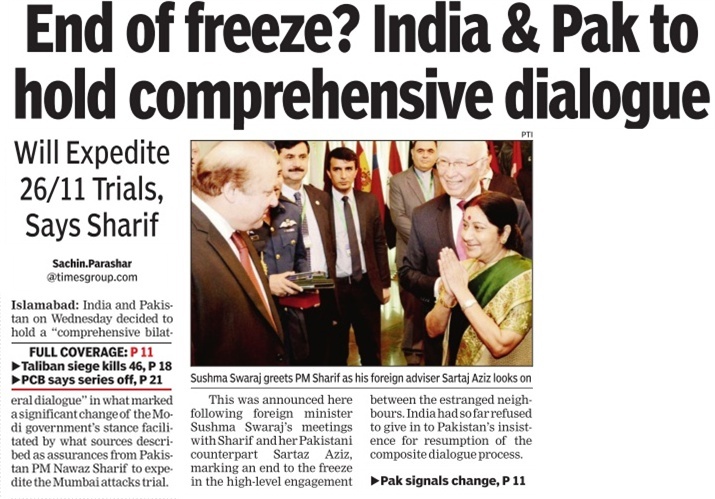 Officials at the Pakistan PM's house described the meeting as cordial and constructive. Swaraj was received by Sharif's daughter Maryam Nawaz on her arrival at the PM's residence. Greeting the External Affairs Minister with a smile, Sharif thanked her for coming to Pakistan. Serious questions about “fair play” are being raised on the recommendations of the 7th Central Pay Commission (CPC) as the armed forces are ready with a written protest to be given to Defence Minister Manohar Parrikar. The representation has the views of all three services — the Army, the Navy and the IAF — and questions the very basis of the recommendations of the CPC and its calculation for pay and allowances for the defence personnel. Sources said the forces were ready with a written representation and have cited concrete examples of how the CPC has created additional anomalies over and above the ones pending since the previous commission constituted a decade ago. The facts presented before the commission are erroneous and the 899-page report has inaccuracies while dealing with military salaries is said to be contention of the representation. The forces have questioned the lowering of benchmarking of the three services. Till now equation of the balance was vis-à-vis the Indian Police Service. The Army Commanders and their equals in the Navy and the IAF were on a par with the Director Generals of Police. In the pecking order, the Chiefs of the services are above the Secretaries to the Government of India and also the DGPs. The 7th pay commission has removed the parity with the IPS and the new benchmarking is with central paramilitary forces. The issues of high rate of supersession and early retirement age in the armed forces have not been addressed while factoring in the salaries. The pay panel’s take on allowance is another issue over which armed forces are unhappy. The high altitude allowance for an officer in the Army posted at the Siachen glacier will be Rs 31,000 while in the civilian services there is tough area allowance which is about 33% of the basic salary. After the 7th pay commission, this would work out to be in excess of Rs 50,000 for the IPS and IAS. Former military ruler of Pakistan Pervez Musharraf has confirmed that the militant outfits operating in Kashmir have joined hands with the Taliban, a terrorist group that has its operational area both in Afghanistan and Pakistan. Musharraf, the architect of Kargil war in 1999 had staged a coup in October that year and had become the military ruler of Pakistan. He was engaged in promoting terrorism in Kashmir and Afghanistan. The attack on the Indian Parliament in December 2001 took place when he was the ruler of Pakistan. It is for the first time that any Pakistani leader has admitted a direct link between the Taliban and militant groups like the Lashkar-e-Toiba and Jaish-e-Mohammad of Pakistani origin. Musharraf made this revelation in an interview to the Urdu service of the BBC on Tuesday, excerpts of which were published in Dawn newspaper of Pakistan on Wednesday. He has been quoted as saying, “Kashmiri Mujahideen allied with the Taliban after the 9/11 tragedy,” a reference to the terror attack in New York and Washington DC by the Al-Qaida in which more than 3,000 people were killed. The newspaper goes on to say that Musharraf also stated that he had warned the Kashmiri “freedom fighters” about what he called an alliance with “extremists” but they joined hands with the Taliban which led to the “mess”. The General did not elaborate on the mess. What Musharraf told the BBC was known to the world long ago. 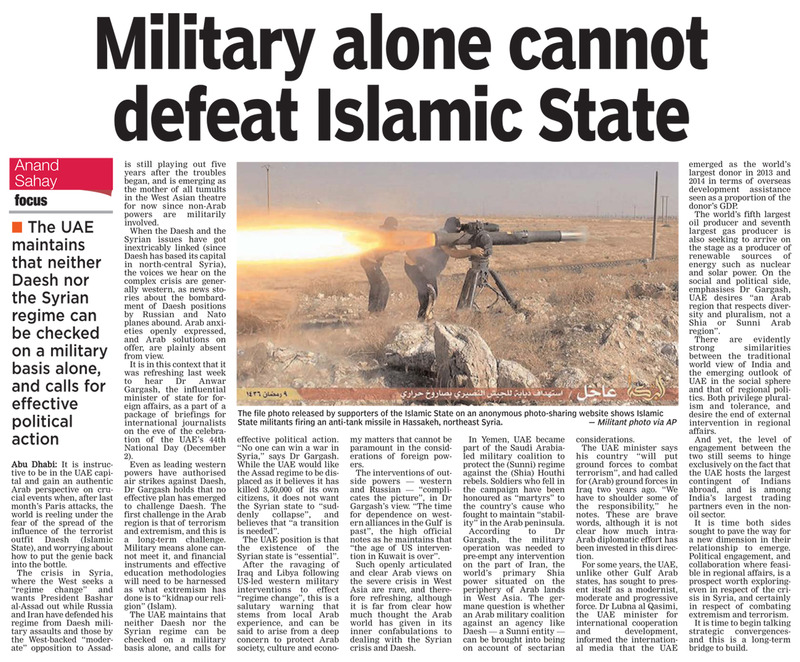 Former CIA official and expert on strategic affairs Bruce Riedel had observed that the IC 814 was hijacked by the Jaish-e-Mohammad with the active support of the Al-Qaida. 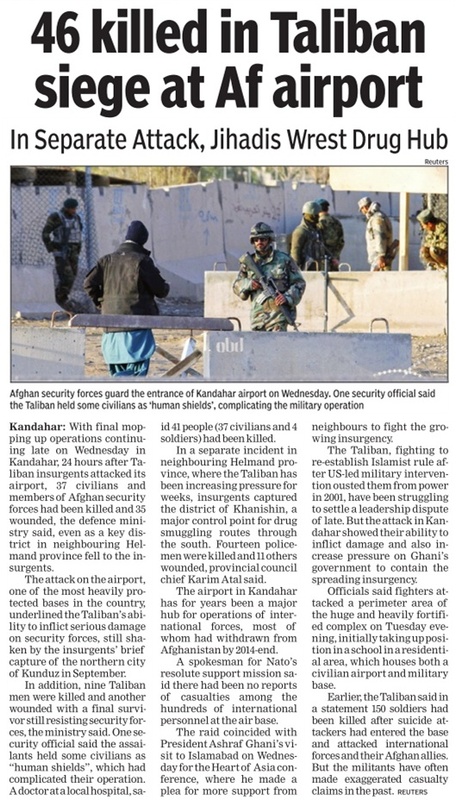 The hijacked airport was parked in Kandahar, ruled by the Taliban. Musharraf has also proved himself as a master of doublespeak. After 9/11, he had made a fervent speech condemning the 9/11 attacks and offered his complete support to the US. He had claimed that Pakistan would help America destroy the Taliban in Afghanistan and its hideouts on its side of the Durand Line. This latest interview has come at a time when Foreign Minister Sushma Swaraj is in Pakistan, attending the Heart of Asia conference to restore peace in the terrorism-plagued Afghanistan where Taliban factions have made much of the country ungovernable by the elected government of President Ashraf Ghani and CEO Dr Abdullah Abdullah. 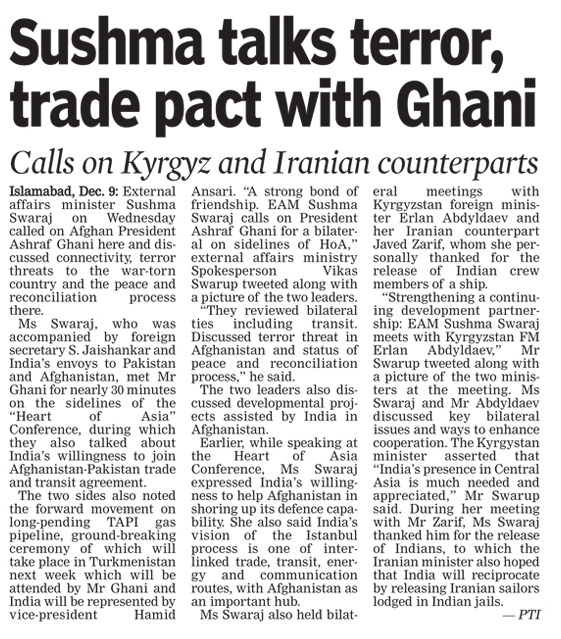 Sushma has sought cooperation of all in ending the menace of terrorism. NEW DELHI: A delegation of senior Indian Army officials, led by Northern Command chief Lt-General D S Hooda, will be visiting China next week as part of the ongoing policy to step up bilateral military engagements and exchanges to boost confidence building measures (CBMs) along the 4,057-km Line of Actual Control (LAC). The two sides are expected to further discuss practical measures for "managing" troop confrontations and strengthening de-escalatory mechanisms along the LAC. "The visit from December 14 to 19 is aimed at greater cooperation between the two forces in areas of mutual interest," said an official. "The delegation will exchange views on measures to usher in greater peace and tranquility along the LAC in Eastern Ladakh / Xingjiang province of China. It will interact and exchange views with senior PLA officers, as also visit various military and civil establishments in China including PLA headquarters at Beijing and Lanzhou military region," he added. Interestingly, it was in July 2010 that India had frozen all bilateral military exchanges after China denied a proper visa to the then Northern Army commander Lt-General B S Jaswal on the ground that he was commanding forces in the "disputed and sensitive" region of J&K. There has been a thaw since then, with India and China slowly but steadily enhancing bilateral military exchanges and other CBMs like additional border personnel meeting points as well as holding their annual joint counter-terror exercise "Hand-in-Hand". But the border defence cooperation agreement (BDCA), inked between the two countries in October 2013, is yet to become fully operational on the ground to ensure troop face-offs are effectively defused and managed at the local level itself, as reported by TOI earlier. Though there has been a slight decline, troop confrontations still continue to take place all along the LAC with eastern Ladakh being a major flashpoint in recent times. With both sides resorting to aggressive patrolling to lay claims to disputed areas, rival troops also continue to tail each other's patrols, which was specifically prohibited by the BDCA. The proposed hotline between the top military hierarchy, like the DGMO-level one between India and Pakistan, is also yet to become a concrete reality. 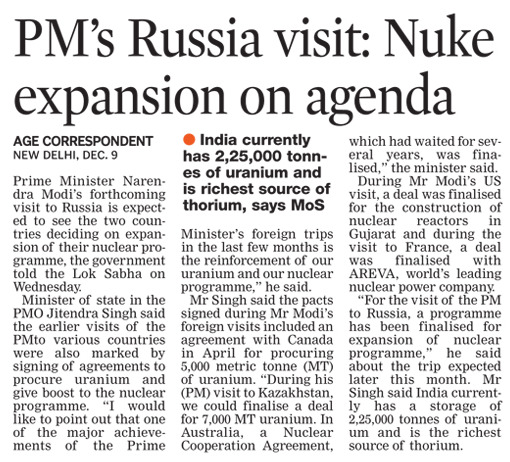 The visit also comes at a time when China is undertaking a major restructuring of its 2.3 million-strong PLA to make it more combat-ready and mobile, which will see all armed forces come under a joint operational military command and regrouping of the existing seven military regions into four strategic zones, as reported by TOI earlier. The Indian Eastern Army Command till now was faced by the Chinese Chengdu Military Region, while it was the Northern Command facing the Lanzhou Military Region in the north. Now, the entire Indian front from Ladakh to Arunachal will be handled by one Chinese entity, the new West Zone.